Customers are constantly looking to their suppliers for a reduction in costs or extra capacity during peak periods. This can only be achieved by removing waste from the process, realising efficiency gains or by releasing hidden additional capacity. This is why clients turn to Milestone Solutions to analyse and implement highly effective manufacturing intelligence systems. Milestone can provide you with the tools to collect and transform your data into information that can drive your continuous improvement programmes without exhausting your existing resource. Due to the independence of Milestone, you can be sure that the manufacturing intelligence solution provided will be fully assessed against your individual business requirements. We work with you, we analyse the needs of your business and we provide you with tailormade Enterprise Manufacturing Intelligence. Our solution facilitates real manufacturing business information, by providing true data intelligence, delivering much more than just a portal to display data. We allow you to combine data in context making production efficiency and predictive analysis possible. Our solution allows users to unlock real value in their Data, instantly. With the growth of manufacturing execution systems, equipment automation and system integration, the diversity of data available means selecting the right solution is more important than ever. Due to the independence of Milestone, you can be sure that the manufacturing intelligence solution provided will be fully assessed against your individual business requirements. Collecting data can often be time consuming and subjective. 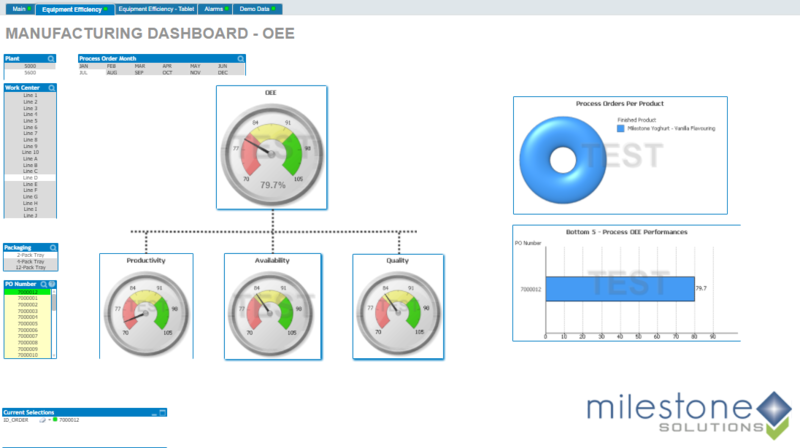 Milestone can provide you with the manufacturing intelligence tools to collect and transform your data into information that can drive your continuous improvement programmes without exhausting your existing resource. 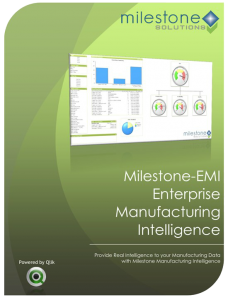 Reach out to our experts and get started with Milestones Manufacturing Intelligence today.